Who is Gritty? What we know for sure is that he's orange, terrifying and the new mascot for the Philadelphia Flyers. But, beyond that, we don't know much about the newest polarizing figure on the Philly sports scene. Where did he come from? Why has he emerged now? And will any of us ever sleep again? The closest thing we have to a bio comes from the team's official site, and let's just say it's not a very extensive origin story, especially considering just how odd this creature is. 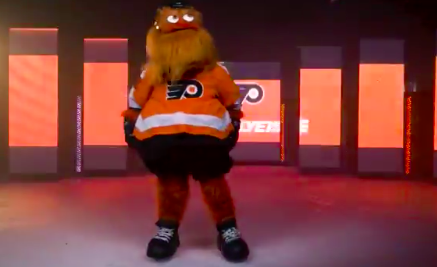 While vague, that all seemed fine to the unsuspecting eye — well, as fine as it could be considering they basically just implied that Gritty is Dave Schultz's lovechild. But keep this piece of evidence handy because, like every great mystery, each answer only seems to lead to more questions — and, occasionally, outright lies. For example, in the press release about the discovery of Gritty in the bowels of the Wells Fargo Center, the team claimed that while living there, he "picked up solid skating and hockey abilities." After just one appearance, however, we know that to be a lie. So what else are the Flyers lying about when it comes to their terrifying new mascot? How deep does this conspiracy go? And who is actually pulling the strings? Is Gritty actually Keyser Soze — or is he just a poor creature imprisoned by an occupying force? After talking to sources within the Philadelphia mascot community, this reporter is ready to shed some light on who (and what) this thing actually is. Here are a few details about Gritty the Flyers are afraid to tell you, even if withholding said information could potentially cause harm to fans. 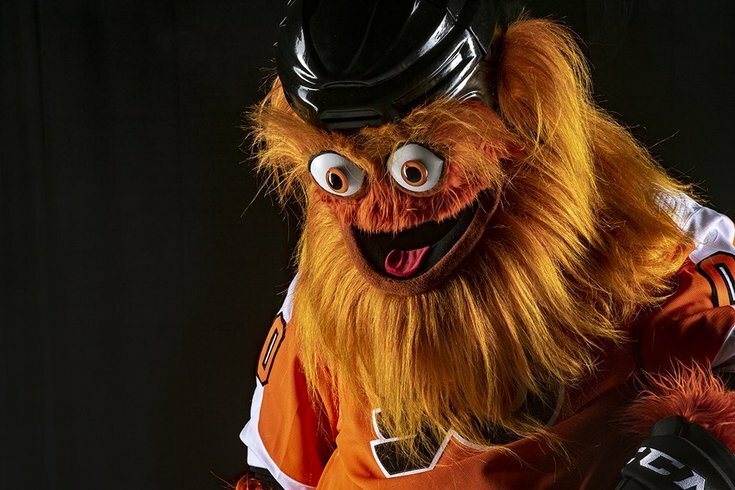 • Gritty’s hair is made from the hair of actual Flyers fans. As frustrated fans sat in the stands tearing their hair out after another frustrating loss, Gritty was quietly waiting under the bleachers to sweep it up and add it to his weave. 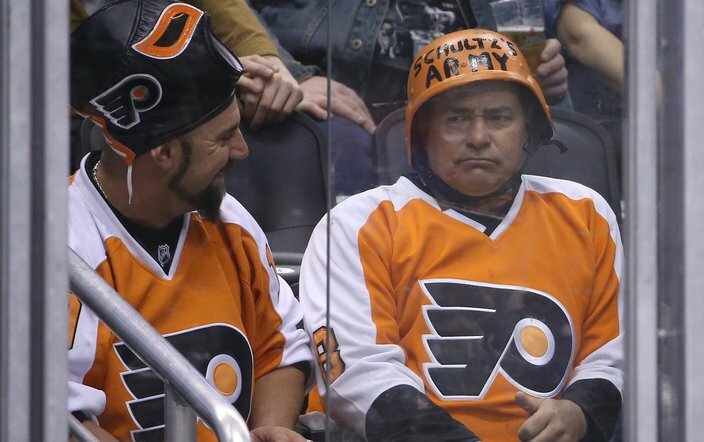 • Gritty’s color is not “Flyers orange.” It’s actually a slightly different shade of orange called “Wing Bowl vomit.” Don't worry — we'll spare you the picture on this one. • No one knows what’s wrong with Gritty's eyes, and no one ever will. To date, every doctor who stared directly into them was immediately turned to stone. You have been warned. • Gritty's more than just a "bully." He's also kind of a d*ck. Maybe he is just one of us. • Gritty is actually Slapshot's son. Or, if you want to go full-on conspiracy, he IS Slapshot, the Flyers' short-lived mascot from the 70s who, coincidentally, no one has seen since. Add a few years, a lack of personal hygiene and some minor cosmetic surgery — like Lasik and a nose job — and boom. Gritty is Slapshot. Slapshot is Gritty. • Finally, Gritty/Slapshot wasn't living in "a secret hideout" under the Wells Fargo Center. Best case? He was trapped after the team discarded him and built himself a nice home in the basement of the Farg. Worst case? He was being held prisoner by the organization. Either way, with the amount of information the Flyers have about Gritty, it's clear that he wasn't just "discovered" during the recent renovations. Furthermore, he can't even talk. How did they find out so much about him? Does he speak sign language? Is he literate? Maybe they just made it up. Or perhaps they used enhanced interrogation techniques and he can't talk as a result. What else aren't they telling us? Gritty, blink once if everything is OK.